Hi, my name is Ginny Roberts and I am a Brisbane based Holistic Healer and Intuitive Wellness Consultant, specialising in a number of services to assist you to improve health and well being. My goal is to help you improve your enjoyment of life. When you don’t feel your best, you can’t enjoy life to its fullest. I love the information shared by Medical Medium TM, Anthony William when it comes to understanding our body and how to maintain health. I have my own unique way of helping you learn about what is going on with your body, why you may not feel optimally well and suggest some guidelines to get everything back on track. I have been a Therapeutic Massage therapist for over 25 years. Through my hands I listen to your body, I find the aches and pains – working to unblock the locked muscles that may be causing you discomfort. Mudpacking is a very old form of detoxing the body. 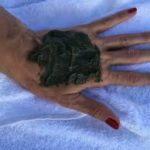 The use of mud on the body is probably more well known as a beauty aid but it can also be very helpful in relieving pain. unblocking areas of toxic build up. It can even make you feel very relaxed. 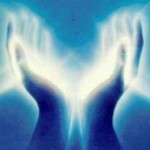 Reiki is a hands on healing modality that helps move blocks, physically, mentally and emotionally. As well as using Reiki, I intuitively work on your body and aura to remove stuck energy that is blocking your life from moving forward. Why did I used to lose weight so easily and now I can’t?